With some Instagram handles dedicated solely to dogs, cats and even the exotic animals, it is only natural for one’s yearning of having a furry family member be increased by tenfold. And if you ever decid to make this big step of welcoming a pet into your life, take the time to consider that purchasing one isn’t your only option. Why not adopt? For starters, look to the Society for the Prevention of Cruelty to Animals (SPCA) Singapore, where it takes in about 200 strays and abandoned every month. If there’s no luck there, here are 10 other animal welfare organisations filled with sweet and adorable furry critters, all needing of a forever home. 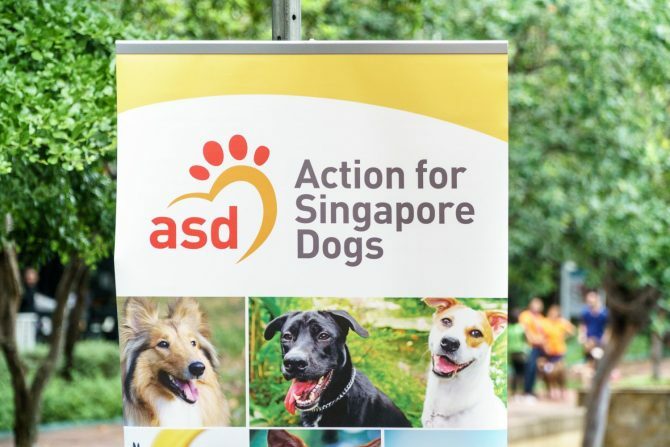 Established in December 2000, Action for Singapore Dogs (ASD) is aimed at bettering the welfare of stray and abandoned dogs. Not only do they put up dogs for adoption, the folks at ASD are constantly on the lookout for those who are in need of rescuing before fostering and re-homing them. To ensure that they continuously have sufficient space in their rescue centre, ASD holds regular dog adoption drives to encourage those who may want a pet to adopt over purchasing a puppy. With their ‘One dog at a time’ motto, the team of workers and volunteers at ASD treat each dog with utmost care regardless of their health condition, adhering to a strict no-kill policy. Pets are not toys neither are they playthings that are used for solely entertainment when you are bored. They are addition to any family just like having a new member in the household. Even as these animals provide families with joy and fulfilment, there have been numerous cases of pet adoption on the impulse. A lot of resources in terms of time, money and love have been put during foster care to return these animals into "re-home'' conditions. So think carefully before choosing to adopt – whether you got the time and financial support to have a new member in your family. And of course, support adoption over the growing unethical practices in the pet industry.